I've got a special treat for you today in more ways than one. Instead of just one finance post today here's an added bonus of a second one. The topic itself is also about getting treats for free or at a discount. I love trying out new products but often I don't want to spend too much on the products in case I don't like them too much. I actually have a separate purse full of coupons I've collected for freebies I'm going to get the next time I go shopping. If you're interested in getting products for free online have a look at today's guest post. “People love to get a good deal. After all, why should you pay money for an item if you can get it for free (or for a significant discount)? When you save money on one item, you can apply the difference toward something else you need or want. 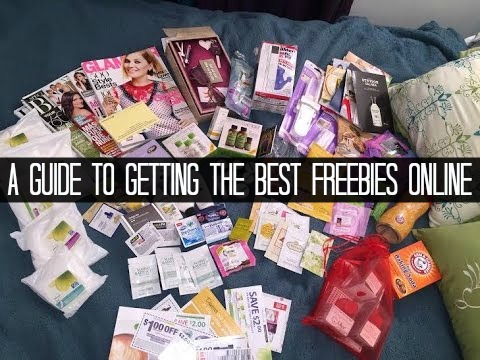 Scoring great freebies from WOWFreeStuff is one way to cut back on the cost of living and also lets you try out new products with no associated risk. What are freebies? Companies give away free samples to get the word out about their products or to expand their customer base. You can score toiletries, food, makeup and more. With a little bit of work, you'll find a wide variety of samples from many different companies. If you are just getting started as a deal hunter, you likely do not realise how popular this topic is on the Internet. There is a huge community out there, with more members joining each day, that are on the look out for free items. There are so many deals available if you just know where to look. Even large companies, like Pampers and Gillette, participate in the giveaways. It is not unusual to see makeup samples from YSL, MAC and Benefit, either. I've benefited greatly from searching for freebies online. I have great perfume samples. I've been gifted free food and toiletry items. I've even been lucky enough to eat at a local restaurant and not pay anything out of pocket. I've saved a lot of money during this process, and it makes me feel good to be able to help my family's finances in that way. It is really simple to begin looking for deals. All you need is internet access and a device that allows you to get online. You also need a mailbox. Typically, when you see a freebie that you want, you simply have to enter your address so the company knows where to send the item. Each product is different; some may take longer than others to get to you. If you get impatient waiting for freebies to be sent to you, try a different route. You can get coupons and pick up your freebies at the store if you would like. You just need to submit your email address and the coupon will be sent right to you. In some cases, you don't even need to print out the coupon. All you have to do is pull it up on your smartphone and the store can scan it that way. This makes it even easier to collect your freebies. There are a few things that you can do to make this process go smoothly. First, set up an email address solely for the purpose of getting these deals. That way, you don't have to worry about a bunch of emails clogging your normal inbox. Regularly look at your junk folder to make sure nothing was sent there accidentally. If your browser asks if you want it to save your contact information, select "yes;" this will save you time as you fill out different forms. hi, I have tried one of this company and this was a scam. I am now inundated with unwanted emails. Should this have a warning sign?